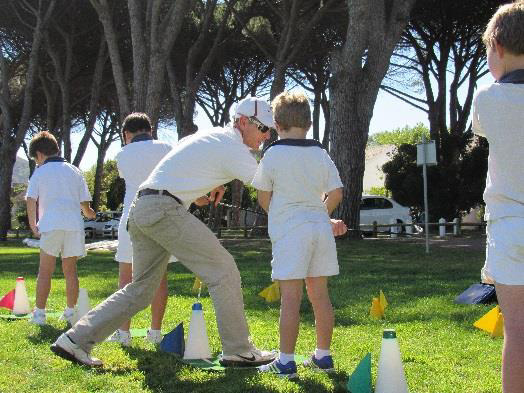 The Junior Golf Academy (JGA) programme has been designed to suit juniors of all ages. The aim is to give both boys and girls an introduction to golf in a fun, non-pressurised way. 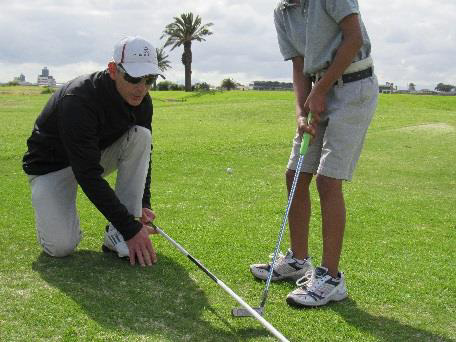 This approach nurtures a child's interest in the game, and ensures that they are given the proper chance to determine whether golf is for them or not. Our programme begins with laying a solid foundation of the basics of each swing, then builds upon that, as it takes time to construct a good swing, and develop the correct frame of mind. Our instructors are trained to effectively communicate and demonstrate swing mechanics to juniors, and their knowledge of the components of the swing help them to identify errors and offer effective strategies for improvement. Their approach is friendly and 'hands-on', which creates trust, and establishes a good rapport with each child. Careful attention is also given to making sure that the repetitions being practiced are as close to the perfect model as possible, as mastering the various golf skills is vitally dependent upon the correct repetitive actions being consistently applied. Instructors will cover material from putting to full swing, course management, etiquette and rules of the game. We also provide the opportunity for juniors to compete against their peers in tournaments; participate in Golf Days with their parents and play the course in our holiday programmes. Why encourage your child to try golf? Golf can provide a wonderful experience for juniors. It is one of the only sports that can be enjoyed for a lifetime by all ages and genders. If you play, some of your best memories can be created on the golf course, and will reward you with time spent with your children for many years to come. Not only is playing a round a great way to spend family time, but the game teaches a variety of life skills. Like all sports golf enhances leadership, confidence, responsibility and courage. It builds character and reveals character; it imparts great values and develops independence. When learning a complex motor skill such as golf, the physical benefits are immense. The amount of body movement and muscles used in the game make it an excellent workout, improving hand eye coordination, flexibility, stability and spatial and kinesthetic awareness. It also strengthens the core muscles that support the spine, burns calories and builds muscle. Golf is also less injury prone than most other sports. We offer an eight week coaching course each term, which runs throughout the year, including the winter months. On rainy days we make use of the school’s indoor facilities. 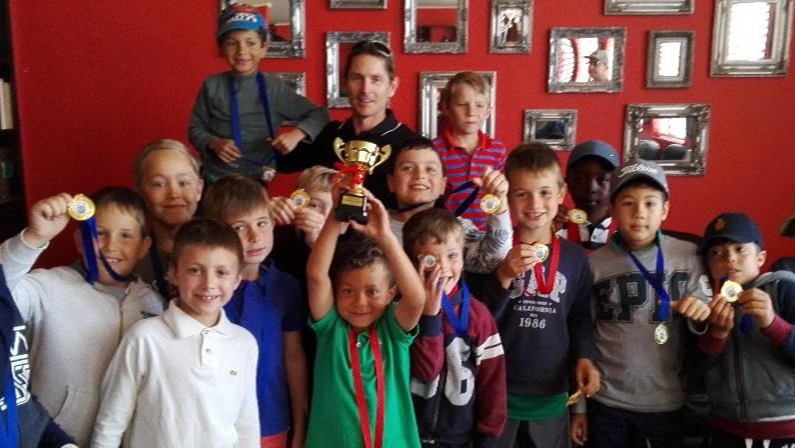 Each term we host a Junior Golf Champs Tournament as well as a Father & Son Golf Day. We also run a Holiday Programme during the four mid-term breaks, as well as offer Kiddies Golf Parties over the weekends. Junior Golf Academy offers coaching on the following days. Fees are payable prior to the first lesson of each term. One term’s notice is required in order to cancel, or a full term’s fee is due.